Mad Bird Design created a new logo, brand identity, and website to launch Sisters Country Horizons community visioning project. Sponsored by the City of Sisters in partnership with Deschutes County and Central Oregon Intergovernmental Council, Sisters Horizons will help Sisters Country position itself for the future. 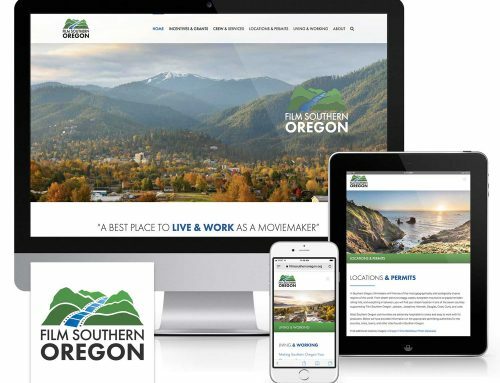 To brand the project, the vision team wanted a logo that reflected the region’s central Oregon community atmosphere, western spirit and natural features, including the Three Sisters volcanic peaks. The selected design brings that all together in a stylized modern design with contemporary, forward-looking fonts and clean graphic visual elements. The website invites the community to get involved, take an online survey, and provide feedback that will shape the framework of the plan. Featuring vibrant community photos, the design is streamlined, visually appealing and accessible on all modern browsers and devices.